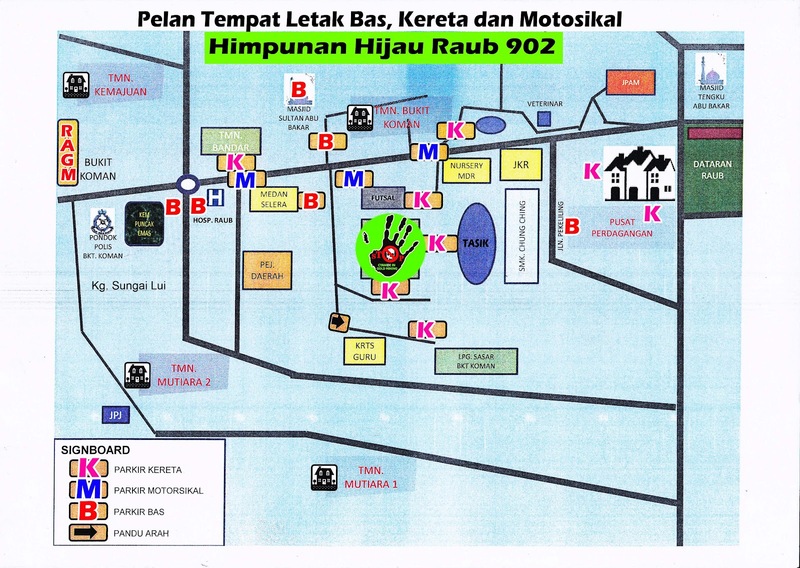 Dear all 902 Himpunan Hijau Raub participators, the plan for buses and cars parking place is here attached. 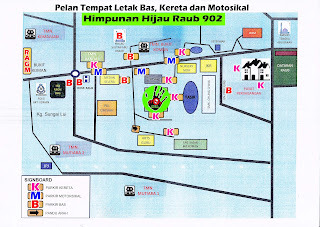 The route from Dataran Raub to Himpunan Hijau Raub venue, and even to RAGM (Dirty gold mine) is clearly shown in the plan supplied by the police. Kindly print out the plan for easy reference. See you there!